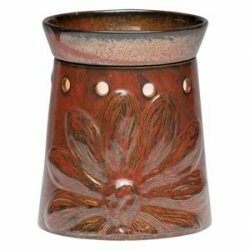 *** notes of sweet, flirtatious cherry, fruity plum and a hint of warm sandalwood to ignite the love. *** As fresh as a spring garden � sweet hyacinth sings with a fragrant medley of coconut water, violet leaf and soft musk. *** like sweetest fruit salad ever, tropical pineapple, mandarin orange slices, juicy pears, and ripe concord grapes, with hints of jam and fruit nectar. 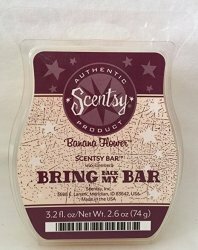 One Scentsy 3.2oz Bar in the scent Banana Flower. 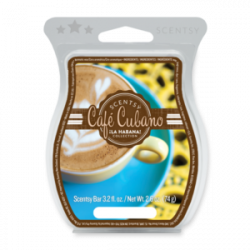 "Delightful combination of fresh, sweet banana mingled with soft ﬂorals". *** Sweet golden ripe bananas. *** Classic bergamot is captured beautifully in this outdoorsy, eye-opening scent, accented by crisp notes of juniper berry, bay leaf and white sandalwood. *** Scrumptious sugared strawberry, bird of paradise and vanilla bean. *** Sweet berries, buttery pastry and topped with caramel! *** Champagne bubbles stir black currant, sweet orange and vanilla sugar. *** Run away with fresh tropical notes, sweet citrus and lush botanicals. *** Blueberry Cheesecake Thick, rich NY cheesecake with a light graham cracker crust and delicious blueberries. New without original box. This warmer using a bulb with is included. *** Toasted marshmallow smoldering over white flint and sandalwood harmonize with salty sea air and ocean spray. 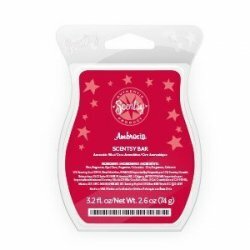 *** The fruity notes of apple and luscious assortment of tropical fruit with a sprightly pop of whipped sugar and creamy vanilla in our Braeburn Scentsy Bar. 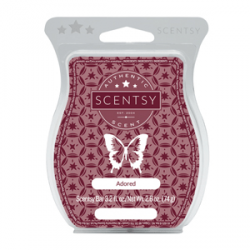 *** "Floral bouquet of lilac, jasmine and musk, kissed by sandalwood." 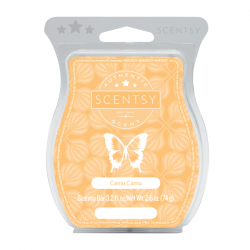 *** A creamy sweet lemon, sugarcane, and shea butter blend. 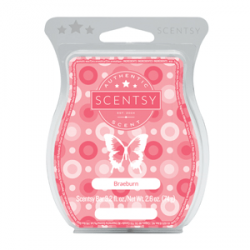 *** The true scent of baseball-card bubblegum�sugar and cotton candy with a hint of mint. *** Melt-in-your-mouth peppermint candies with subtle hints of creamy butter. Tropical oasis of lush mandarin, camu camu, and passion fruit. 3.2 oz bar. In new condition. *** cinnamon sprinkled pomegranate with candied apple.